the reference to Martinware birds (see the feature on page 26) means that, basically, the German single is ‘sold’ to me. There was another similar instance when reading through the A7 restoration guide on page 90, when reference to the ‘twin carb’ Star Twin set me off. I confess, I didn’t realise such a model existed, but as soon as I saw mention, then that was it, I was off on a tangent, finding out what I could about this model (incidentally, it led me to a TCM back issue, November 1988, with a feature on said 1949 machine) and, of course, wondering if one would fit into the ‘stable.’ – alongside the NSU Special Max. This constant discovering of hitherto unknown (to me) facts and new nuggets of information is what I find fascinating, the voyage of discovery is all part of what makes the subject so interesting. There’s also the uncovering or finding out about other unfamiliar things, such as the remarkable exploits of Albert Catt in 1911 on his Triumph (page 78). The story of his ride over six consecutive days is impressive to say the least, and even by modern standards such a ride (2557 miles) in less than a week, is good going. But when one considers the roads, riding gear, machinery and communication means available, it moves into another level, completely. I always think that the annual Irish rally is fairly tough riding and that normally amounts to getting on for 600 miles over four days, and although for the last few years I’ve always done it on vintage machinery, I do have the benefit of chain final drive and a gearbox, both luxuries not afforded to Albert. 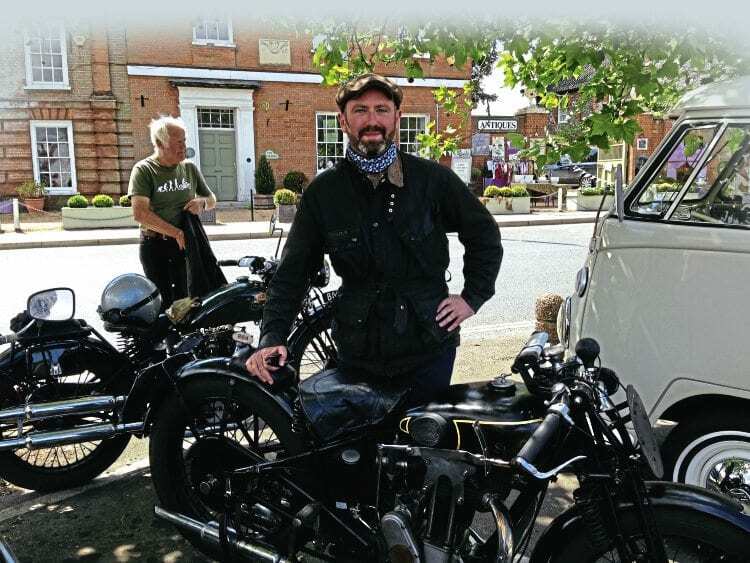 Mr Catt was clearly a tough cookie indeed; it’s good to see that his efforts haven’t been forgotten, with the local VMCC section celebrating his attempt with a run this summer. Talking of summer, it should be nearly here, so it’s time to start getting in some miles. Enjoy your riding – and also the issue.